The desk of Alanya Municipality in the 9th Accessible Life Fair (EYAF) grabbed a lot of visitors in Istanbul. On the 4th day of the fair, the desk of Alanya Municipality took a lot of visitors and politicians apart from the people with disabilities. 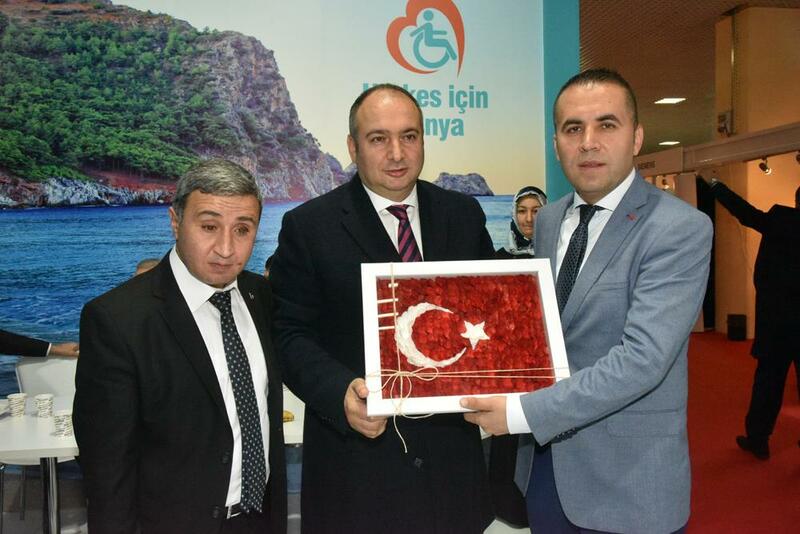 The protocol, visitors and people with disabilities paid great attention to the desk of Alanya Municipality which participated first time in the fair organized between 1-4 December. 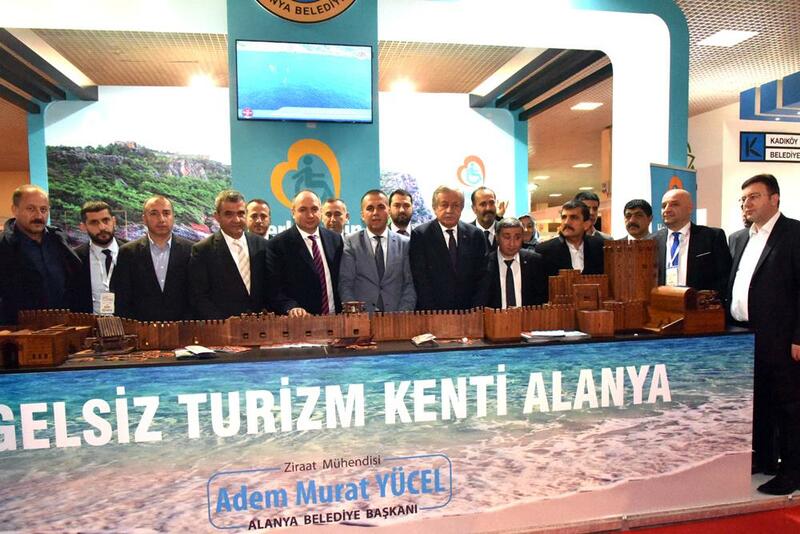 The visitors and protocol were informed about Alanya which took part in the fair with slogan “Accessible Tourism City Alanya”. Alanya Municipality offered leaflets and free holiday opportunity to 5 people with disabilities and their families through lottery. The desk of Alanya Municipality which took great attention from individuals with disabilities was visited by MHP Vice Presidents Atilla Kaya and Semih Yalçın, Istanbul representatives İsmail Faruk Aksu, Arzu Erdem, Izzet Ulvi Yönter, MHP Istanbul Province Chairman Mehmet Bülent Karataş and Istanbul Town Chairmen. 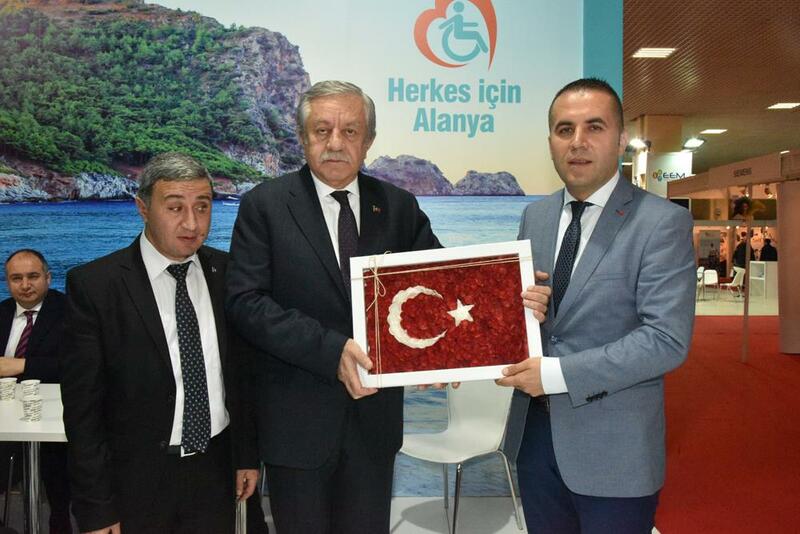 Vice Presidents Kaya and Yalçın, who conversed with people with disabilities in the desk of Alanya Municipality, took information about projects and fair from deputy mayor Nazmi Yüksel. Vice President Semih Yalçın, who made some examinations in the desk, called Alanya Municipality Mayor Adem Murat Yücel. Yalçın, who stated that he had liked the projects so much, said “Alanya Municipality gathers too much appreciation with its works for people with disabilities. I congratulate our mayor and his team”. 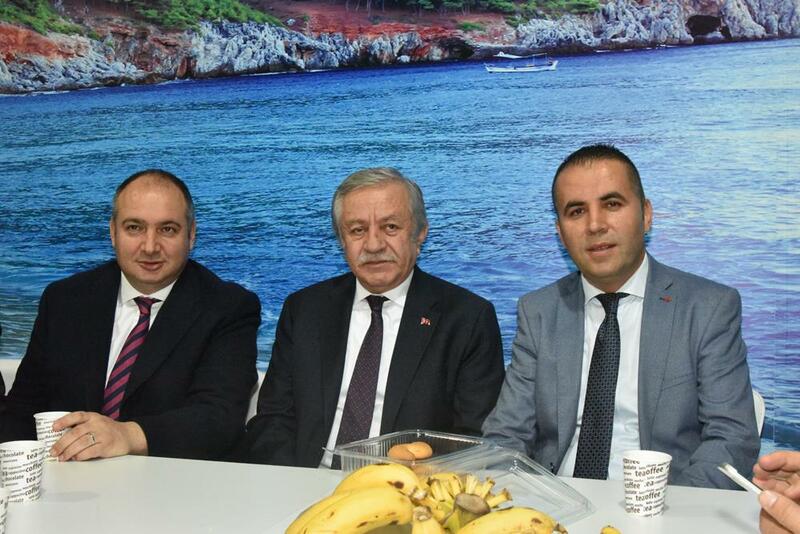 After the visit, Alanya Municipality Deputy Mayor Nazmi Yüksel presented painting made of cocoon and cologne made of banana to Vice Presidents and representatives.